multimedia, come to think about it, I actually like the idea of a smaller package. I'll probably go with 10, the 8 you mentioned, the Conqueror's Flail and Masterwork of Ingenuity . 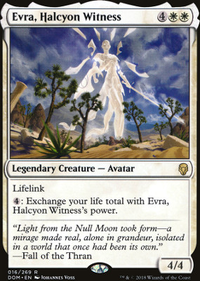 I can add Holy Day and Justice Strike to the Sunforger package, and a few creatures for a more army feel, proper Boros. Thanks for the input. I'll look into my equipment and cut some. I addition to the ones you mentioned, I really like Masterwork of Ingenuity , it can nab me a sword if my opponent's have one. 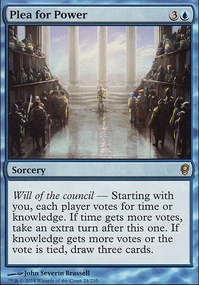 The Sycthe lets me steel opponent's creatures, the Flail serves as a Grand Abolisher , Trepanation Blade and the Sword of Body and Mind give me another win-con in milling. 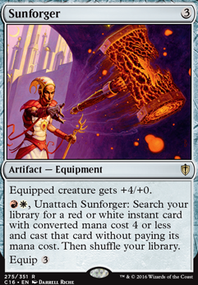 Dagger serves as a mana rock, Amulet is card draw, Kusari-Gama works as a single player board wipe. I can see Godsend and Argentum Armor leaving, they're really just removal. But you do make a great point with the Equipment. Maybe work it down to 10. I'll have to check out what I have lying around. Between this and my Angel deck, I have spent way too much money this month. Why so many deathtouch equipments? Aren't Grappling Hook and Nemesis Mask too mana intensive for what they do? Any reason for not including Blackblade Reforged , Bloodforged Battle-Axe , Masterwork of Ingenuity ? What about Strata Scythe , Ogre's Cleaver ? 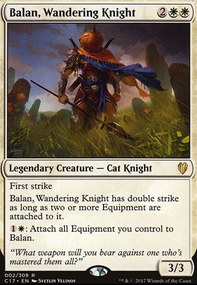 Why not creatures like Balan, Wandering Knight or Heavenly Blademaster ? 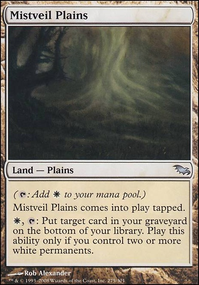 Why are the other boardwipes better than Mass Calcify ? Kjartan on Call That A Knife?! 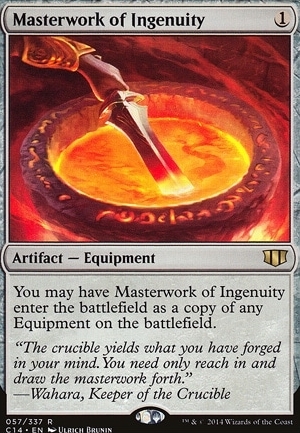 Masterwork of Ingenuity is also not modern legal, so I guess that's two easy cuts right there.